The Value Machine is a piece of software that finds value bets for horse racing. It does this by looking for instances where the bookies’ price for a horse is above that on Betfair. As Betfair has been shown in numerous studies to be a perfect market – i.e. to predict accurately the chances of a given horse winning, then in these instances the bookies must be wrong. The software is very easy to use. You just open it up, click on the afternoon or evening’s selections and they are produced instantly for you. Then it is just a case of placing the selections, which can take a bit of time as there are on average over 10 selections per day. We had high hopes for this coming into our trial, as the system on which it is based – the Morning Value Service – had amassed over 3,500 points of profit over five years. And certainly the logic to it seems sound. However, unfortunately over our trial, we made a loss of 14 points to the best available bookies price. That was over the course of more than 1100 bets, so a massive sample size! At Betfair SP, the results were worse, with a 45 point loss being made. And taking the best available Betfair price at the time selections were generated did not seem like a tenable option, as that made a 66 point loss over the trial. It was disappointing to have made a loss, but of course it may just have been that we hit it at a bad time. Indeed, early on in the trial we went over 100 points up, so clearly there is potential here. As you can see, we were in profit for most of the trial but went on a huge losing streak towards the end, dropping over 100 points. However, more worrying for us is the actual viability of this system. During the trial, we had our Stan James account closed, which we had for over 10 years and had not even been limited before. We also had another account limited, which was frustrating. This problem did not seem limited to us either, as we were contacted by other users who said they had lost bookie accounts when using this. It is possible that the bookies see people who are using this as arbers, as in theory when the Betfair price is above the bookies’, it could be an opportunity to arb. Or perhaps they just someone who is exploiting value. Either way, the bookies really don’t seem to like this and that presents a significant problem for users. There are of course always steps you can take to try and keep your bookie accounts open, but it is not an ideal situation. So overall, unfortunately we are not able to recommend The Value Machine at this time and award it a NEUTRAL rating. Ease of use: There are a large number of bets to place, so you do have to allocate some time to placing the bets, say around 20-30 minutes per day. Availability of prices: As mentioned above, this is a big concern. A fair proportion of the bets come from just one bookie and it often Stan James. However, Stan James are likely to close your account if you place lots of these bets with them. Using Betfair SP does not appear, on the basis of our trial, to be a viable angle to long-term profit. So you may have to make do long term with taking with taking slightly less than the best available price in some instances. Strike rate: The strike rate for the trial was low at just 14%, which is quite a bit below what is stated on the website, i.e. 17%. 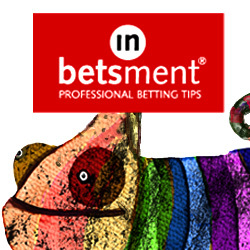 Advised Betting Bank: A 250 point betting bank is advised, which we think is about right. From the high to low, we experienced around a 120 point drawdown, so about half the bank. Anything less than a 200 point bank would be at risk of going bust. Subscription costs: The subscription costs are £7 for the first 14 days then £57 per month or £147 per quarter. We had high hopes coming into our trial of The Value Machine and early on it looked like those hopes were being richly fulfilled, as we went over 100 points up. Sadly though, a slide then set in and we ended up 14 points down at best available prices. That was disappointing, but what was more worrying was that we had bookie accounts closed as a result of placing these bets, one of which we had held for over 10 years. We also received reports from other users of the same thing. The bookies are likely to think you are either arbing or exploiting prices at least, so you are at risk of losing accounts when using this system. We may well have just hit this at a bad time and no doubt results will pick up for them over time. Indeed, we think the logic of the system is sound. However, with slight concerns over bookie account closures, we think a NEUTRAL rating is the only fair verdict here. The tough times continue for The Value Machine, with a further 36 points lost since our last update. So we have lost a large portion of the substantial profit we had build up earlier in the trial and the recent slide has been a little troubling to say the least. But hopefully things will turn around shortly and we will be back to winning ways. It can’t come soon enough! A very tough run for The Value Machine since our last update, with 40 points lost at advised prices. It’s been a very up and down trial, with some great runs followed by some long losing streaks. However, being 70 points up is still very good going, so we have to take the rough with the smooth and look at the bigger picture here. Talking of pictures, the other one that is emerging here is that taking the best available Betfair price when selections are generated is not a good option, with it now being nearly 50 points behind the advised prices. So it seems that if you want to use Betfair, then using Betfair SP is a much better option. More fantastic profits for The Value Machine over the last week. We have gained another 41 points profit at advised prices since our last update. We had high hopes for the Value Machine coming into our trial and it has certainly not disappointed. The results have been superb and one of the best trials we have seen here at Honest Betting Reviews. Let’s just hope they open it up soon to all those members who want to join. There has been an improvement for The Value Machine – a piece of software for betting on the horses – since our last update a couple of weeks ago, with 19 points profit made at advised prices. So still ticking along nicely at about the half way point of our trial. The downtrend has continued unfortunately for The Value Machine over the last week, with another 10 points lost at advised prices. Overall though things have still been very good, with a month’s worth of bets now accumulated. The best price available at the bookies is still leading the pack at 50 points up, followed by BSP at 41 points up and the Betfair price at the time of the selection coming in last at 24 points up. An excellent first month overall, let’s hope for more of the same over the rest of the trial. Another warning though that there is a real risk you will have bookie accounts closed if you use this – we have had reports of this from a few members. Kieran says he is going to put up a section on the Value Machine website about keeping bookie accounts open, so watch out for that. There has been something of a correction for The Value Machine since our last update a week ago. They have dropped 23 points at advised prices, which was perhaps due as things couldn’t really have gone on in the same incredible way they started. One significant thing to mention however is that we were contacted by a member this week who said his Stan James account had been shut down – not just stake-limited, but actually shut down – as a result of bets placed using The Value Machine. That is a significant problem because a large percentage of the bets The Value Machine generates are with Stan James. To be honest though, we are not that surprised this has happened and we think there is a real risk bookies will close your accounts if you are using this. The bookies have software that can track betting patterns such as that generated by using The Value Machine. So that is why we are tracking prices available at Betfair and Betfair SP, to see if the service is still profitable without relying on the bookies. On that front things are looking good so far, but it is too early to draw any conclusions. The Value Machine continues to produce excellent results, adding further profit since our last update a week ago. Quite outstanding results so far and good to see it is working very well at Betfair so far too. It’s been an excellent start to our trial of The Value Machine, which is living up to its pre-launch billing. This is software that finds value horse racing selections at the click of a button. It is the same process as that used by the Morning Value Service, which has made over 3,500 points profit in 5 years. For the purposes of this review, we are recording selections at the best price available at the bookies when selections are generated, the Betfair price available when selections are generated and Betfair SP. Superb stuff so far, couldn’t have asked for much more really. There are lots of selections, with 160 bets after just one week, so you need to have a bit of time available to place the bets. Although to date the results suggest you could just use Betfair SP, which would save quite a lot of time. The Value Machine is closed to new members for the moment, but we understand Kieran may reopen it to a restricted number of new members at some point, depending on how prices hold up etc. You can get your name down here to be contacted if it does reopen. UPDATE – We have just heard that The Value Machine will be closing its doors on the evening of Tuesday 4th October – so if you want to join up you must do so before then! You can sign up for a 2 week trial for just £7 here. One of the first betting systems we reviewed here at Honest Betting Reviews was the Morning Value Service, which is run by a guy called Kieran Ward. It’s a service we’ve followed personally for a long time and is without doubt one of the best systems we have ever come across. It finds value bets on the horse racing and has made just short of 3500 points profit in 5 years of operating, which equates to over £70,000 profit to just £20 stakes. We have followed the selections ourselves for two years and can verify that the results are completely genuine and accurate. The main problem with the Morning Value Service however was that in order to protect prices, Kieran had to limit membership to a very select number of people. Plus membership was very expensive, at £400 for 3 months. However, now he is releasing the tools behind the money-making machine that Kieran has used so successfully over the last few years and at a much lower cost. It is a piece of software called The Value Machine and it promises to be very special. It is being released at 12 midday GMT on Friday 30th September, but you can get your name down before then to get a copy here. Basically – as the name suggests – the software generates bets that have inherent value in them. The great thing about releasing this as a piece of software is that it will mean people will not all be choosing the same bets at the same time, as selections will change depending on the odds over the course of a day – but the inherent value will remain the same. And as we say, it will be much cheaper than the Morning Value Service. Kieran is offering an initial trial for 2 weeks for just £7, followed by £57+VAT per month, so you can get a feel for the software before deciding if you want to proceed. If the software could match the results achieved by the Morning Value Service, then it would be an awesome betting system and could generate profit month after month for its users – as the Morning Value Service has done. We are going to be giving the software a full trial here at Honest Betting Reviews to see how well it works. We are excited about this one – certainly all the contact we have had with Kieran suggests he is honest, hardworking and upfront and we understand a lot of effort has gone into developing the software to be the best it can possibly be. So let’s hope we have uncovered another gem here – only time will tell of course. We will provide regular updates on how the trial progresses. In the meantime you can check out the Value Machine here – from 12 Midday on 30th September.